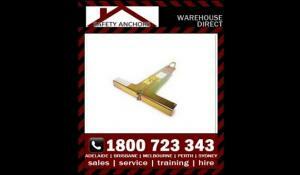 Get the Ballantyne Temporary T-Bar Roof Anchor delivered. Save on Roof Safety equipment with our low prices. The Roof Anchors provide a safe secure anchorage point for metal roofing tasks. The T-Bar roof anchor used in conjunction with ropes and harnesses allows the end user to perform tasks on metal roof situations with both fall arrest and travel restraint. The T Bar roof anchor can be used for Fall Arrest application. 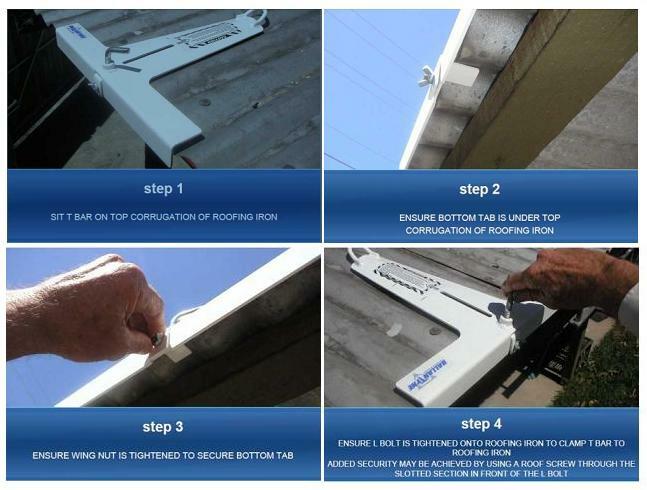 It is an easy to use temporary roof anchors which can be used for those annoying little roof jobs or can be used in conjunction with the tether plate for more roof movement options. The new T Bar provides a safe and sure anchorage point for maintenance, building and roofing tasks. Using a safety line and harness you can connect quickly and easily to the T Bar and work from the opposite of the roof with complete fall protection.